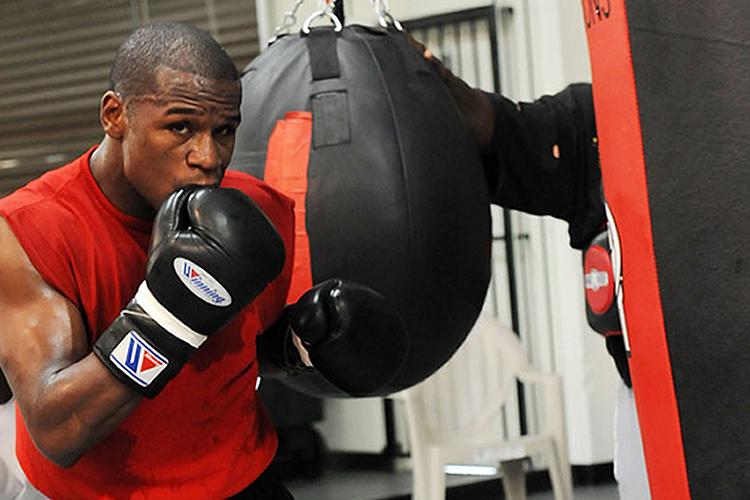 Whether you love him or hate him, there’s no denying Floyd Mayweather Jr’s boxing skills in the ring. 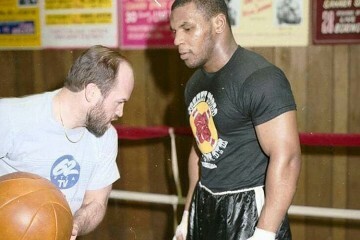 His high ring intelligence combined with great athletic ability and an extraordinary work ethic has led him to an undefeated record inside the squared circle. In this 2008 interview with Seconds Out, Mayweather demonstrates 3 of his most utilized boxing techniques which every fighter can learn from. On the surface, they may look simple but there’s always more than meets the eye. 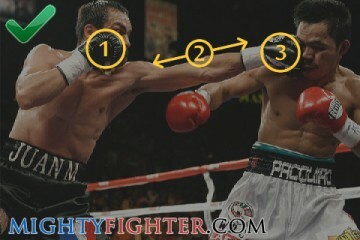 Watch how he sets up each maneuver and you’ll see why Mayweather is one of the smartest in the sweet science of boxing. Mayweather has a whole arsenal of counters he can pull out the bag, but one of his favorite is the block and counter, where he blocks or deflects a punch with his glove or arm, and smoothly transitions his body in a position where he’s able to land a punch of his own. He points to his fight with southpaw DeMarcus “Chop Chop” Corley as an example. When an orthodox fighter faces a southpaw, both their lead hands are closest to each other which often makes it awkward for the orthodox fighter to land his jab because he’s not use to being in that position. In this clash of contrasting stances, Mayweather uses his lead hand to continuosly tap Corley’s lead hand. This keeps Corley occupied while Mayweather waits for an opportunity to throw his straight right down the middle. Mayweather also demonstrates his renowned shoulder roll counters when an orthodox fighter gets in close range. Throw the left hook to Mayweather’s body or head, he’ll block it with his rear hand and his opponent will be met by a rear uppercut or lead hook. 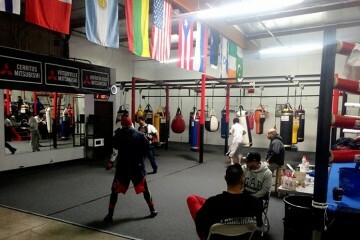 In boxing, you’re often taught to use your jab to set up your power punches. Throwing a power punch as a lead can be dangerous as it’s usually easier to see coming without a distraction preceding it. This is why if you throw a lead power punch, timing and unpredictability is crucial, and that’s what Mayweather has perfected predicted with his lead straight right hand. 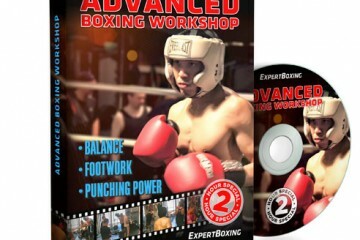 To fight at the same pace in the same rhythm is predictable and with each repetitive step or body movement, it will easily be picked up by a smart fighter. When Mayweather is moving around the ring, it’s usually for a reason – to change the pace of a fight, to get the opponent to come forward, to confuse him – these are subtle actions casual watchers fail to see. 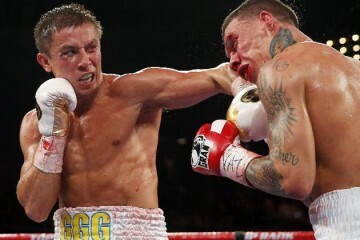 Sometimes, Mayweather will use his jab as a distraction to set up his straight right. Other times, he throws it independently, but always at an unpredictable time to catch the opponent off guard. One of the biggest reasons why the shoulder roll (also known as the Philly Shell) is so effective against fighters of the same stance is because it uses such small range of motions to evade and block punches. Roll in the other direction to block the lead hook with the rear guard.